Deciding to update your garden is a relatively big deal and something that requires careful planning and consideration. A garden clearance project needs to be planned thoroughly and one thing that almost everyone forgets to arrange is waste removal and disposal. Needless to say, garden renovations can be labour intensive and timely, but you need to be prepared for the volume of waste that your project will generate and find suitable provisions for storing this waste. Here at Skips Preston, we consider no garden project to be too big or too small, hence why we supply a complete range of skips, accommodating for projects of all sizes. There’s plenty to be done when renovating your garden, including landscaping, clear-outs and demolition work, so whatever work you’re looking to complete, be sure to consider our skip hire Preston services! Whether it be cutting back hedges and shrubs to simply tidy up the appearance of your garden or clearing weeds to create a more presentable look, you can bet that there’s likely to be a great deal of waste generated. Similarly, if you’re digging up turf, you’re going to need somewhere to store the waste. If you’re clearing your property to allow for new crops and flower beds, you also need to make sure that all waste is collected efficiently. For garden clearances, we recommend hiring a domestic skip for your skip hire Preston. The domestic skips that we have available are guaranteed to provide you with sufficient space to store garden waste. The 4-yard skip is great for small projects that generate a moderate volume of waste and although they are the smallest ones that we have available- they tend to be the most affordable. When it comes to storing garden waste, such as organic waste, soil, metal, wood, plastic and rubble, one of the 6-yard skips, that we provide for skip hire Preston, is ideal. These skips provide more storage space than the mini skips and are great for disposing of stones and other coarse materials. Even bigger than this, we provide the 8-yard maxi skips which are perfect for garden clearance projects. If your project generates a substantial amount of waste, the maxi skips allow you to manage this effectively and store it safely. What’s more, the 8-yard skips have drop doors which ensure that soil and rubble don’t make a mess of your driveway. Skip hire Wigan can easily be tailored towards your unique project requirements- offering a convenient solution for removing the waste from your landscaping project. When redesigning the layout of your garden, you need to get rid of the old before you can even consider the new and this makes our skip hire Wigan services so popular. With there being large amounts of soil, rubble and other garden waste, the services that we provide are ideal for large garden projects. Our small to medium domestic skips are arguably the best skips for landscaping projects. For such projects, domestic skip hire Wigan is your best option and we suggest hiring one of the 6-14-yard skips. The skips that we provide are bound to offer a sense of convenience and can be delivered at a time that suits your needs best. Once we have delivered your skip, all that’s left to do is fill the skip and when the skip is full, we offer a prompt waste removal service- allowing you to continue with your landscaping. 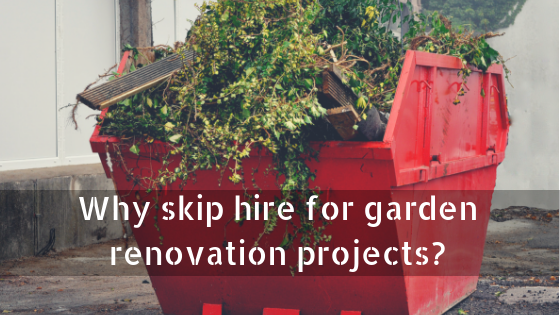 Skip hire Leyland is highly recommended for reconstruction and demolition projects- it allows you to rid yourself of bulky garden and construction waste- without taking time away from your project. Any waste that your project generates needs to be dealt with effectively to ensure that it’s removed from your premises quickly and safely. The services that we provide for skip hire Leyland are great if you’re looking to eliminate the risk of injury. Our skips are ideal for storing potentially dangerous materials that can be sharp or cause trip hazards when left on the ground. Here at Skips Preston, we provide skip hire Bolton which is suitable for conservatory demolition projects and drive reconstructions. The 8-yard skips are perfect if you’re expecting your project to generate a small quantity of building waste. They ensure that it’s stored off the ground and allow you to maintain a clean and tidy environment. Demolition projects require a skip that can store bulky materials that can cause an eyesore and our 14-yard open skips for skip hire Bolton are ideal. Slightly bigger than this, and the biggest domestic skips that we provide, the 16-yard skips are large enough to handle immense volumes of wood, soil and garden waste. So, if you’re looking for skip hire Chorley for your garden renovation, you’re in capable hands with Skips Preston! We deal with mixed waste and aim to recycle as much as we possibly can. Generally, our skips allow you to recycle 80-90% of waste materials but with garden clearance projects, we aim to recycle 100% of garden waste- making skip hire Chorley an environmentally friendly option for waste disposal. Find out more about our skip hire services today by calling us on 01772827603! What are the most common mistakes in hiring a skip?